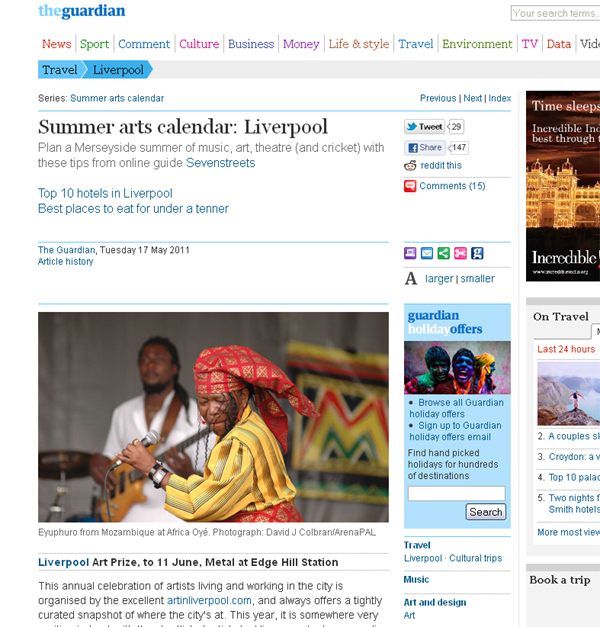 I supplied The Guardian newspaper with images for a special insert about Liverpool's year as European Capital of Culture. The first image is of lead singer Howie Payne performing with The Stands at a Love Music Hate Racism gig at Liverpool University. The second is of Eyuphuro from Mozambique playing live at Africa Oye festival 2006, Sefton Park, Liverpool.